Recently, Audioengine launched their latest Audioengine HD3 speaker which is similar to their popular Audioengine A2+ with several improvements including magnetic speaker grilles, Bluetooth support, an improved internal DAC and more. 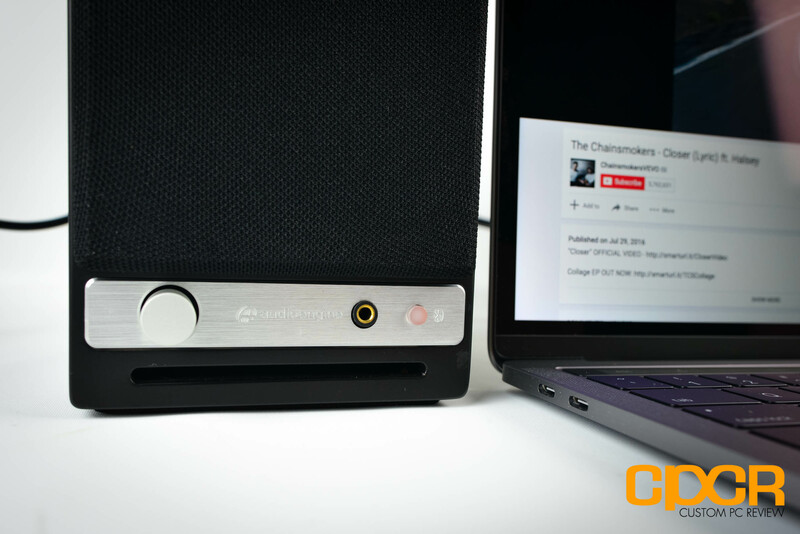 Given how impressed we were with the Audioengine A2+, we jumped at the opporutnity to review the Audioengine HD3. Here’s the packaging for the Audioengine HD3 which is similar to the packaging used in other Audioengine speakers. As usual for Audioengine, the HD3 and its accessories package comes in soft cloth drawstring bags to protect them from damage during shipping. Included in the package is some documentation, a power adapter, audio cables with banana plugs, micro-USB cable, a Bluetooth antenna, and of course the Audioengine HD3 itself. Here’s a closer look at the Audioengine HD3. The Audioengine HD3 features two speaker cabinets which are constructed using 18mm thick MDF with chrome accents for a more premium look. At the front of the speaker is a magnetic cover which helps prevent accidental damage to the tweeter and woofer. Behind the cover is a 3/4″ silk dome tweeter paired with a 2.75″ Kevlar woofer. Below that is a slot vent to help improve low end response. This is the same basic design we’ve seen previously from the Audioengine A2+ which we reviewed previously. On the bottom of each speaker is also standard 1/4″ threaded inserts for mounting. On the left speaker, Audioengine has also included a control panel which includes a volume control knob, headphone jack and a combination status/Bluetooth pairing button. The headphone jack allows more private listening when needed and with its included OPA2134 amp, it’ll drive even premium high impedance headphones. At the rear of the left speaker is the wired connectivity options which include 3.5mm plug, micro-USB, and RCA connectors (input and output). Other connectors at the rear include a Bluetooth antenna connector, speaker cable posts, power connector, and a bass switch which can reduce bass from the speakers for when a subwoofer is attached to the setup. On the right speaker, the only connectivity option is speaker wire posts as it relies on the left speaker for its functionality. Rather than bare speakerwire which was included with older Audioengine speakers, the Audioengine HD3 now features speakerwire with banana plugs pre-installed. This reduces the chance of loose speaker wire on the posts causing issues and creates a more aesthetically pleasing setup. Hooking up the left and right speakers is now simply a matter of plugging the banana plugs into the posts. Taking a deeper look into the left speaker, we can see all the major components used onboard the Audioengine HD3. The most prominent component is the Class A/B monolithic amp which is cooled using a massive heatsink. This allows the Audioengine HD3 to deliver 15W RMS/30W peak power per speaker. 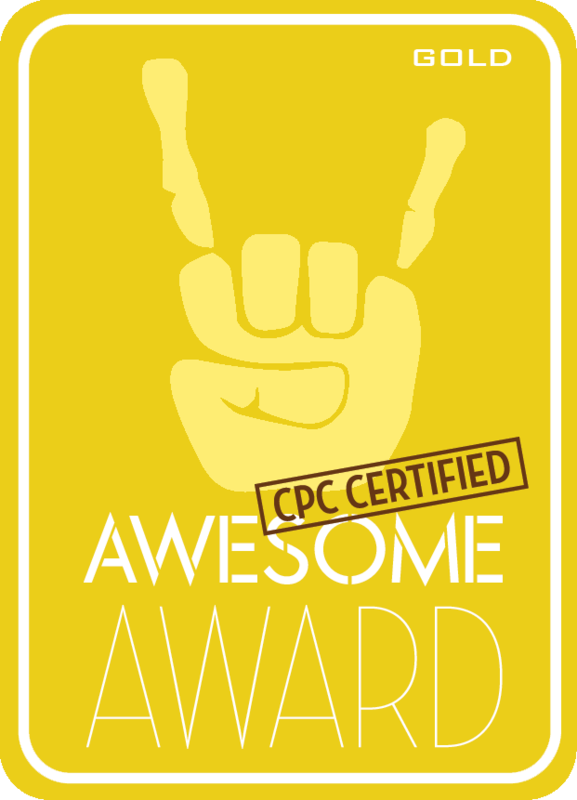 Powering the Bluetooth is a CSR8670CG chip which features support for the AptX low latency codec. Wired into both the USB and Bluetooth inputs is the BB PCM5102A DAC which provides 24-bit upsampling. Scattered around the PCB is also a few TI N5532 opamps. 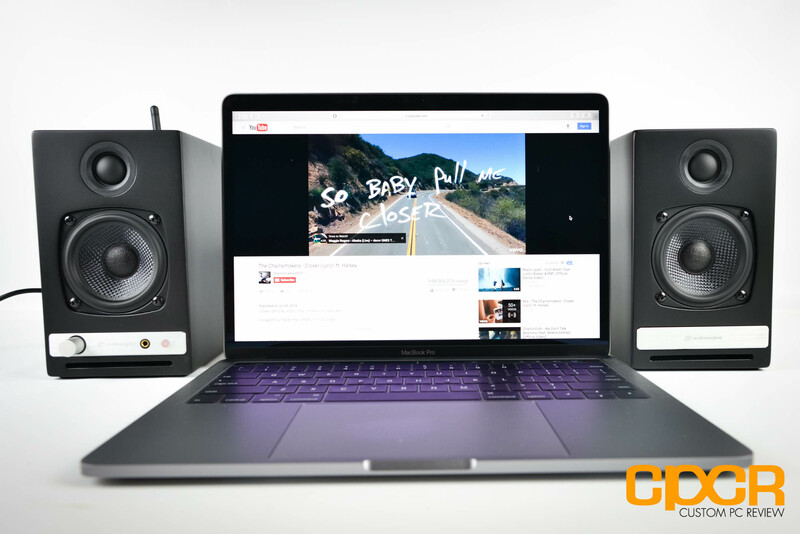 Here’s a look at the Audioengine HD3 when setup with a 13″ MacBook Pro. At just 7-inches tall, the Audioengine HD3 is very compact making it excellent for space limited areas. However, those looking to put these next to a TV or a large monitor may find the Audioengine HD3 a bit out of place when dwarfed by larger screens. For those familiar with the sound signature of Audioengine products, the Audioengine HD3 is tuned very similarly if not identically. For those who haven’t listened to a pair of Audioengine speakers or checked out our Audioengine A2+ review, this means that the Audioengine HD3 is tuned with a fairly balanced sound profile with a touch of additional treble and bass to create a more “fun” to listen to sound signature. While this is typical of most consumer speakers on the market, Audioengine does it very well with the increased treble and bass done very subtly which keeps the audio output very accurate yet isn’t as boring as speakers with a completely flat sound curve for the average consumer. As such the speakers sound very good for a wide variety of music, especially music that has a heavy emphasis on vocals which sound amazingly crisp and clear – almost as if you were on location. During testing we also tested the Audioengine HD3 for numerous hours in Battlefield 1 which among its amazing graphics and gameplay, also has one of the most phenomenal soundtracks of any game on the market today. While testing, the Audioengine HD3 did justice to the in game orchestral music while also rendering footsteps, the sound of bullets and the rumble of tanks with precision. For those who enjoy cranking up the bass to enjoy some of the more bass heavy tracks however, the Audioengine HD3 may not fit your liking. With a speaker cabinet just 7-inches tall, 4.25-inches wide, and 5.5-inches deep and a sound profile that champions a cleaner, tighter sounding low end, the Audioengine HD3 isn’t going to deliver heavy, rumble your room bass. Those with the capability to boost bass via software or other hardware can do so with decent results however, it won’t be a substitute for a real subwoofer. Audioengine understands this which is why the Audioengine HD3 incorporates a bass reduction switch on the rear which allows you to switch it between normal and bass reduced modes. By switching to bass reduced mode, the Audioengine HD3 will reduce all low frequency audio and send it to an attached subwoofer such as their excellent Audioengine S8 which will help bolster its low end capability. As far as ease of use, the Audioengine HD3 has a ton of connectivity options which include your traditional 3.5mm plug, Bluetooth with the AptX codec, USB, and RCA – all of which can be used simultaneously. With any of these connections, the sound quality was very good and indiscernible to the ear except for Bluetooth which didn’t sound as full range as the other options. However, Bluetooth does provide the option of quickly hooking up a smartphone or tablet and stream music to it wirelessly. Thanks to Audioengine’s inclusion of an improved antenna, in our testing the Audioengine HD3 was able to maintain a connection with our Samsung Galaxy Note 4 throughout most portions of a two story 1,400 sq ft house which is quite impressive for a Bluetooth connection. The micro-USB input in the Audioengine HD3 is powered by a PCM 5102 which is a fairly premium DAC. While the DAC is advertised to help improve sound quality, we found the inclusion of the DAC even more useful for eliminating electrical noise from the 3.5mm plug of older, poorly designed laptops and desktop systems rather than improving sound. 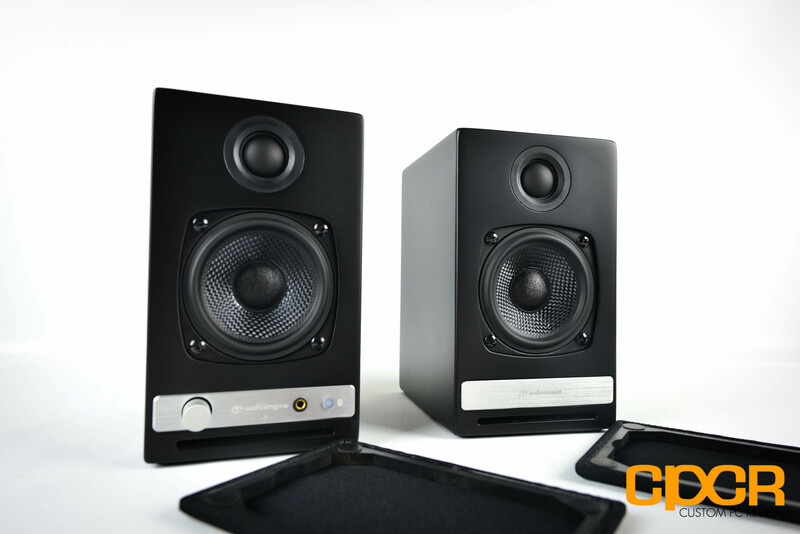 Ever since we checked out our first set of Audioengine speakers several years ago, we’ve continually been impressed with Audioengine speakers and the Audioengine HD3 continues to impress us as well. 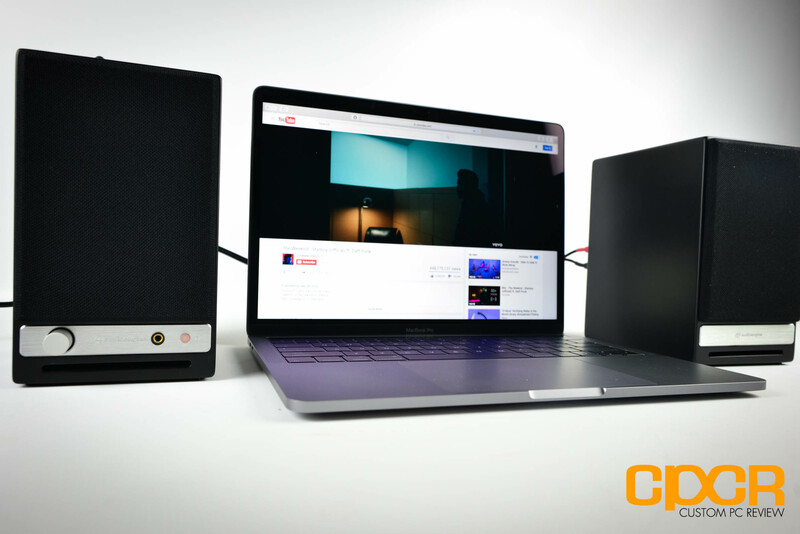 The sound performance of the Audioengine HD3 is among the best we’ve heard from any desktop speaker and mix of traditional yet modern design elements makes the Audioengine HD3 a perfect addition to any desk. 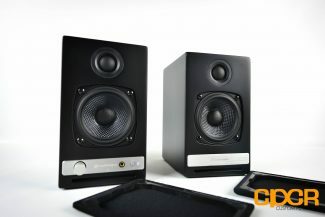 Couple that with the versatility of a multitude of connectivity options and the Audioengine HD3 definitely stands out as one of the best desktop speakers on the market today. As for pricing, the Audioengine HD3 carries a MSRP of $399 making it one of the more expensive desktop speakers on the market. However, high end audio components such as Kevlar woofers, Class A/B amplifiers, DACs and opamps aren’t cheap, nor is the engineering required to cram all this stuff into such a tiny enclosure. Given that the sound quality on the Audioengine HD3 is about as good as it gets before dropping 2x-3x the price on more serious audiophile equipment, the Audioengine HD3’s pricetag is fairly reasonable. 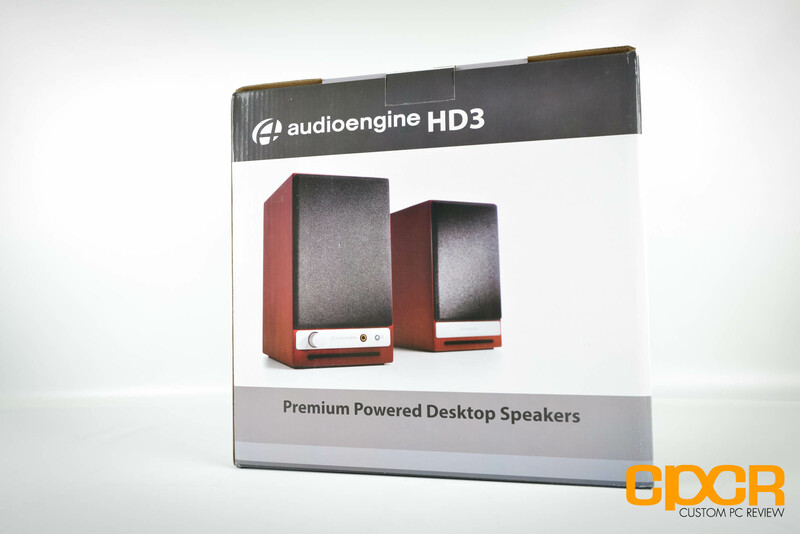 Overall, the Audioengine HD3 is an excellent addition to Audioengine’s desktop speaker lineup and an excellent buy for those looking to purchase a top desktop speaker that brings great sound quality, versatility and an aesthetically pleasing design. Highly recommended! i heard there is blootooth problem in this model? ?